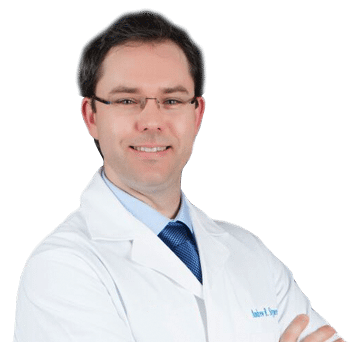 Dr. Andrew Styperek is a fellowship trained, board-certified dermatologist. He attended Harvard University in Boston, MA, where he completed undergraduate studies and earned his B.A. degree. He then went on to medical training at Atlanta’s renowned Emory University School of Medicine. His residency training was completed here in Florida, at University of Miami School Medicine. From 2013 through 2014, he was the Chief Resident. After completing residency training, Dr. Andrew underwent advanced training at Houston Methodist Hospital under the instruction of Dr. Leonard Goldberg. He completed an extensive fellowship program including Mohs micrographic surgery, as well as laser and cosmetic surgeries. Dr. Andrew is committed to furthering his own education, and the knowledge of the medical community. He regularly participates in continuing education, as well as conducting in-depth clinical research. He is a sought-after speaker who has lectured around the world. Additionally, he has been published in many peer-reviewed medical journals. A dedicated doctor, he is passionate about excellence in patient care. Areas of special interest and expertise include skin cancer diagnosis and treatment, cosmetic and anti-aging treatments, and venous disease management. When away from the office, Dr. Andrew enjoys sports and outdoor activities. In college, he was a member of the Harvard tennis team (NCAA division I), and to this day he is still an avid tennis player. Dr. Andrew, his wife, and their daughters reside in Broward County, Florida.